Estate planning is important, because it gives you a final say about how your assets are utilized when you pass. Estate plans are especially important if you suspect that there could be inheritance disputes down the line. That’s precisely the point behind crafting a detailed estate plan — it is intended to provide clarity about your intentions for your estate, and it should dissolve any dispute that might otherwise pop up. So how do you avoid an inheritance dispute? How can you create an estate plan that clearly communicates your intentions for your beneficiaries? Here are a few tactics you can employ to ensure that you avoid any inheritance disputes in the future. First thing’s first, you should create a will to lay out your wishes for your finances and property. An accurate will helps to communicate who your beneficiaries are and what they receive. We recommend working with a lawyer to ensure that the will is created properly, using language and forms that are legally binding. If your will is invalid, your finances and property may not go to the beneficiaries which you would otherwise prefer. In addition, if your will is invalid, it may need to be “validated” by a court, should you pass away before creating a new will. The court will go through probate if a will’s validity is questionable. You can avoid the probate process (and its associated time and fees) with a living trust, by naming beneficiaries on individual accounts, or by creating a joint tenancy with a right of survivorship (which means that you share your property with your spouse). If you have personal property, especially heirlooms and valuables, you will want to designate which of your beneficiaries receive these items. You can create a personal property memorandum or a similar document to communicate your intentions for these items. While personal property memorandums aren’t legally binding in the state of New York (they are, however, legally binding in New Jersey and several other states), this document can be helpful for a trustee or personal representative who you assign to distribute your personal property. If you have a reliable trustee, you can leave instructions for them, including your intentions for the distribution of your personal property. Assigning a trustee or personal representative, and creating a personal property memorandum will help to ensure that your property is distributed as you deem fit. It can be a difficult task to divide your assets up amongst your beneficiaries. Often, people opt to divide their assets up equally among their beneficiaries. Other times, certain beneficiaries receive more assets, while others receive less. Both options can present problems when it comes time to read the will. For instance, if you divide your assets equally among your beneficiaries, certain beneficiaries may feel sour if they’ve provided care for you or if they consider themselves “closer” to you than other beneficiaries. You may also find that if your assets are not divided equally, one beneficiary may be jealous of the other. It can be difficult, if not impossible to divide your assets in a manner that satisfies all of your beneficiaries. You’ll have to make some delicate decisions to come to a conclusion on the best way to distribute your assets. You can work with your lawyer to determine the best solution for your unique situation, and it may be best to speak with your beneficiaries so that they have an understanding of your intentions and why you chose to divide your assets as you did. As we just mentioned, communication can be crucial to avoid an inheritance dispute. Often it can help to speak with your family members and beneficiaries to tell them about your estate plan and your intentions for your assets. While it may be uncomfortable to talk about your estate plan, it can work wonders to relieve inheritance disputes, and it can provide peace of mind for your beneficiaries when you do pass away. If you are distributing your assets unequally among your beneficiaries, for instance, it can be effective to tell your beneficiaries why you have chosen to do so. Your executor helps to make sure that the intentions of your will come to fruition. Executors help to pay off outstanding debts for the will creator, and they help to distribute wealth and assets to designated beneficiaries. In fact, executors help through the entire process — they contact beneficiaries once the will-holder has deceased; they ensure that a will is valid in the eyes of the court; they even cancel credit cards on behalf of the deceased. Choose an executor that you trust, and be sure to communicate your intentions clearly with your executor to make sure that your beneficiaries receive your assets. 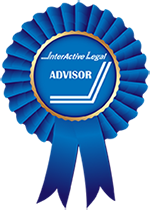 If you’re currently dealing with an inheritance dispute, or if you’re seeking some advice to avoid a dispute in the future, we can help. 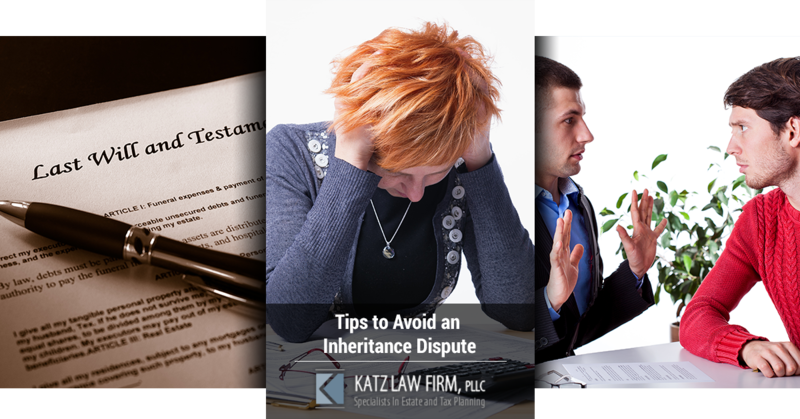 Here at Katz Law Firm, we provide a variety of estate planning services, including will production, probate attorney services, and more. We provide attorney services to folks throughout New York, and we’re based right here in Cedarhurst. Get in touch with us today if you have any questions about our services, or get started by scheduling a consultation. We’re here to make sure that your assets end up in the right hands.